Does your toddler suffer from headache and vomiting often? Do you notice any tender lymph nodes around his neck? If you can relate these symptoms to your toddler, you may want to read our post. He might be suffering from tonsillitis. What is tonsillitis? How to spot it in toddlers? How to treat it effectively? Get the answers to your questions here. Tonsil infections are contagious and can spread from an affected individual to a toddler through contact with mucous, mouth, or throat of the affected person. Enlarged tonsillitis in toddlers occurs due to three prominent causes. They are as follows. Group A streptococcus is a quite common bacteria that affect one among every five individuals with throat infections. Even if individuals exhibit no symptoms, they tend to transmit the bacteria. Streptococcus can also lead to a strep throat and severe ailments like rheumatic fever. Most toddlers suffering from tonsillitis are the victims of cold and flu viruses. At times, the viral infections are milder than bacterial infections but both affect the tonsils in toddlers. 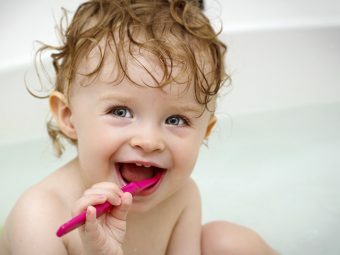 Infectious mononucleosis, an ailment that occurs in toddlers due to Epstein-Barr virus (EBV), also causes the symptoms of toddler tonsils. What are signs and symptoms of tonsillitis in toddlers? Find them below. 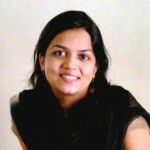 Treatment for tonsillitis depends on the type of virus or bacteria. Doctors identify the presence of strep bacteria with a throat culture or rapid strep test if tonsillitis occurs due to bacterial infection. 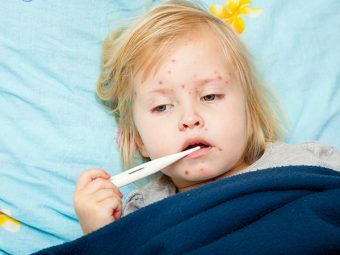 If the infection is viral, your toddler’s body will combat the infection automatically. So the symptoms of tonsillitis subside soon, which indicates a viral infection. When the tonsils suffer from bacterial infection, doctors prescribe an antibiotic. Ibuprofen and Acetaminophen help minimize your toddler’s fever and pain, which occurs due to tonsillitis. Make sure that your little one completes the entire course of medical treatment to prevent future risks of complications. Offer your toddler soft foods, such as pudding, banana, and ice creams, since they help ease his throat. Avoid scratchy and hard foods. Encourage the fluid intake, such as soups, smoothies, and milkshakes. 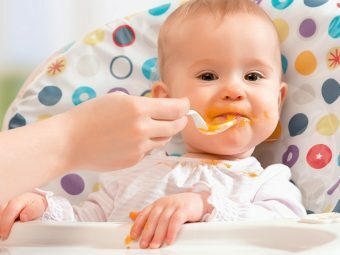 Fluids help toddlers to prevent the risk of dehydration that may result due to the reluctance to normally eating due to difficulty in swallowing. Having ample of rest when suffering from fever resulting due to tonsillitis can help your toddler recover quickly. Rest helps in lowering the body temperature and fatigue. 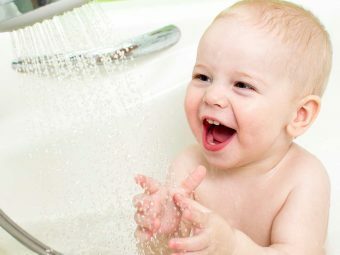 Wash your toddler’s hands often during the flu and cold season. Keep him away from coming in contact with people with cold and flu. Keep his eating utensils and glasses away from the rest. Wash them in hot water. Ensure, all members of your family, wash their hand frequently. Did your toddler suffer from tonsillitis any time? 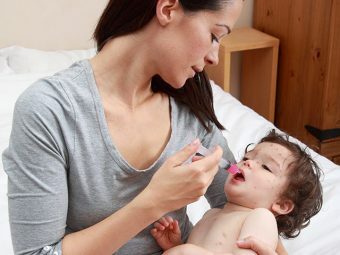 How did you treat your toddler with tonsillitis? Share your experience with fellow moms here. Leave a comment below.